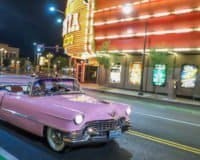 Head out on the town with Elvis for a tour of Las Vegas you’ll never forget! 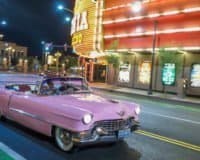 Ride along with the king of rock ‘n’ roll in his 1956 pink Cadillac as he sings his greatest hits, takes requests, poses for photos with you and shows you his favorite spots in Vegas. 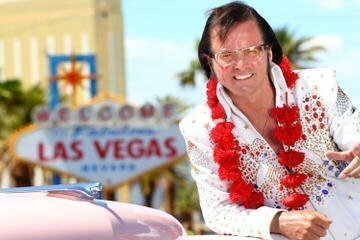 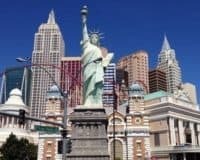 Share a Margarita toast at the ‘Fabulous Las Vegas’ sign, see kitschy wedding chapels, and see the Fremont Street Experience  all in the company of a top-notch Elvis impressionist who will have you believing Elvis lives!